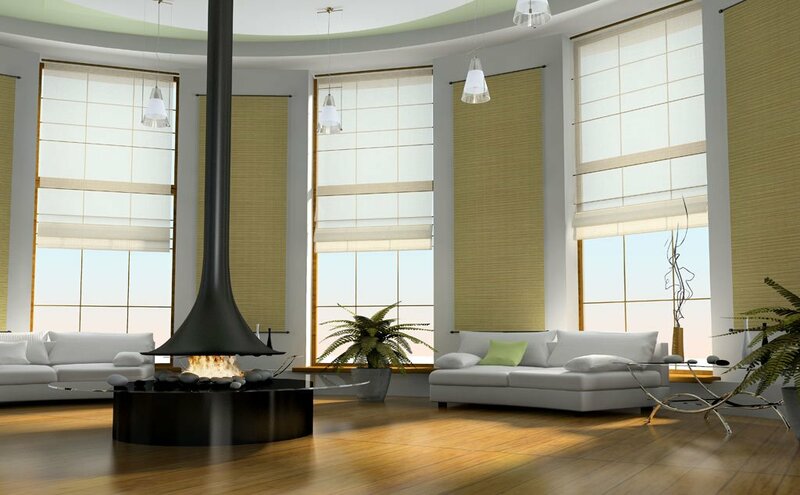 Roman blinds – the type of fabric blinds that draw up into pleats – are a popular alternative to curtains. As you might have assumed, these blinds actually did originate in ancient Rome. It’s said that Roman blinds were devised to keep homes dust-free after construction was started on the Colosseum in Rome, over 2 000 years ago. Prior to this, Romans would hang damp cloth in front of their windows, which had no glass, to keep the dust kicked up by horse-drawn carriages and carts, and dirt swept up by the wind, from entering their homes. Cloth curtains were no match for the volumes of dust released during the grinding of stone for the construction of the Colosseum. As a potential solution, someone devised a window covering made of lightweight strips of fabric – the Roman blind. Roman blinds provided a simple solution to a common problem, and their use quickly spread throughout the Roman Empire. As well as keeping out dust, they helped keep homes cool in the hot Mediterranean summer. 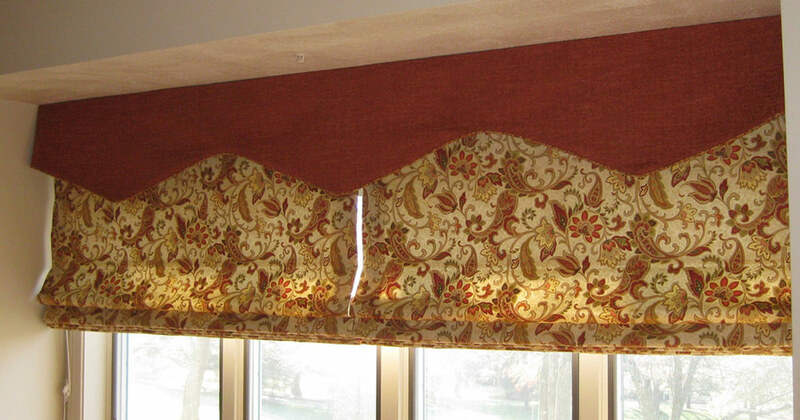 Although Roman blinds were created for functional reasons, they soon became more ornate. Decorated with various patterns and colours, they became a décor accent as much as an effective window covering. The Roman blind evolved to include a drawstring operation, created by fitting strings to slats or dowel rods between the strips of fabric to allow the blind to be raised and lowered easily. Unlike the Roman blinds we have today, these blinds folded back horizontally, away from the wall. Since then, there have been various alterations to the basic design of the Roman blind. However, its principle remarkably remains the same. 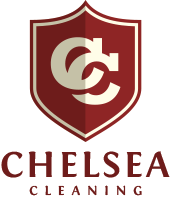 Roman blinds remain a popular choice in modern homes. They’re available in a wide variety of styles and may be made from a range of materials, including bamboo, hemp, silk, reinforced cotton and other fabrics. It’s worth considering ease of cleaning when you choose a particular material and finish for blinds –certain materials are more sensitive than others and some professional dry cleaning only. Roman blinds should be deep cleaned periodically. Unfortunately, they’re heavy and unwieldy to work with – and before they’re washed, it’s necessary to remove the cords, unpick the lining of the blinds and remove the dowels, which are sewn into the lining. Generally, it’s best to leave washing Roman blinds to the experts. 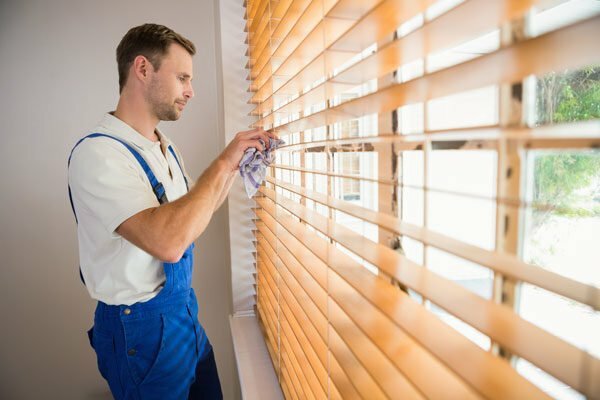 In between, however, regular maintenance can help keep the blinds in top condition. If you have fabric blinds that are washable with water, you can spot-clean them with soda water or a store-bought cleaner between washes. Also regularly use the brush attachment on a vacuum to remove dust, ensuring you get the nozzle between the folds. Always test your cleaning method on a small, inconspicuous area first and avoid vigorous rubbing, to make sure you don’t cause discolouration or other unsightly damage to the fabric.